Tim Inkster in Stratford, Ontario, October 19, 2014. Photo by Laura Cudworth, courtesy Stratford Beacon Herald. 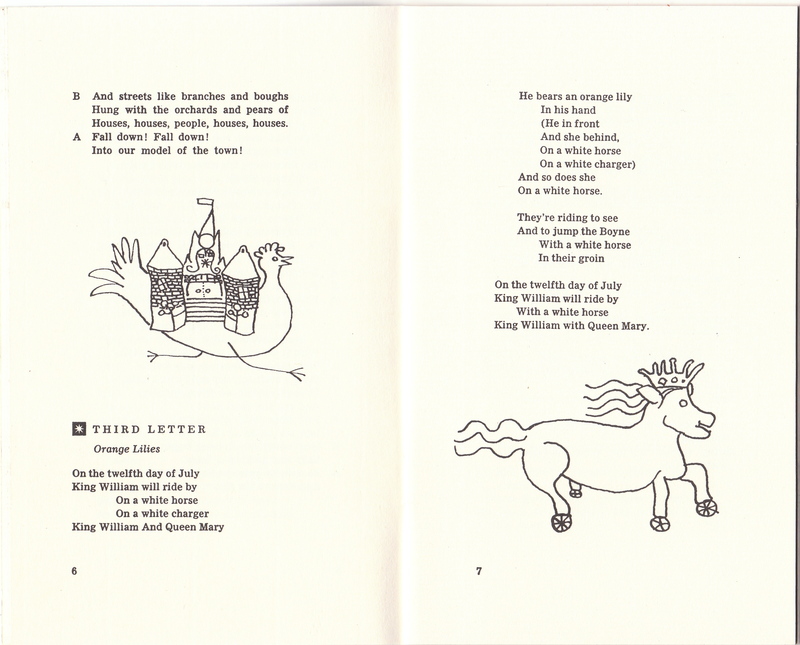 Inkster praised the excellence of the typography and graphic design in many of James Reaney’s published works, particularly Paul Arthur’s design for The Red Heart (1949) and Allan Fleming’s design for A Suit of Nettles (1958). 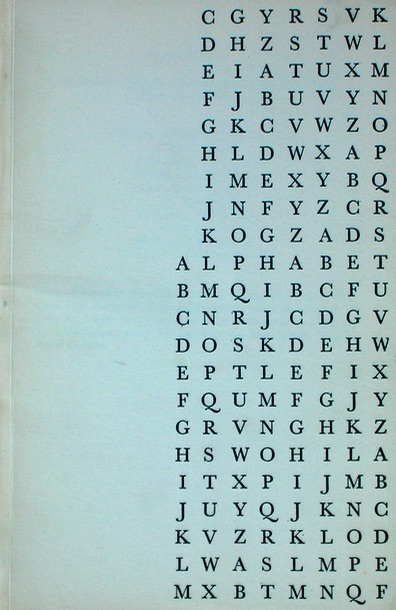 Tim is also impressed by James Reaney’s work hand typesetting the early issues of his magazine Alphabet (1960-1971). A full version of Tim Inkster’s lecture will appear in an upcoming issue of The Devil’s Artisan, a journal of the printing arts. 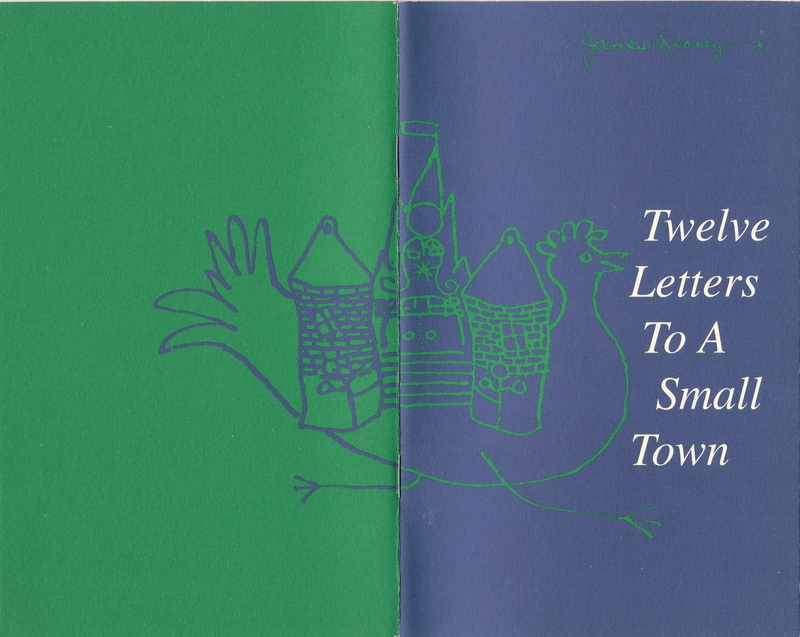 Cover for James Reaney’s Twelve Letters To A Small Town, first published in 1962 by Ryerson Press. 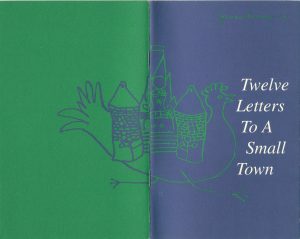 Pages 6 and 7 from Twelve Letters To A Small Town (1962). Drawings by James Reaney. Our thanks also to Charles Mountford of Poetry Stratford and Robyn Godfrey of the Stratford Public Library for their help in organizing this event. Future speakers for the James Reaney Annual Memorial Lecture include Thomas Gerry and John Beckwith. 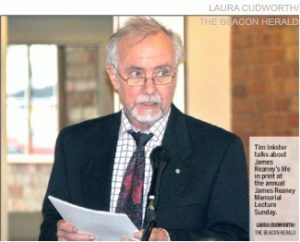 For more about the lecture, see JBNBlog and Laura Cudworth‘s article in the October 20, 2014 e-edition of the Stratford Beacon Herald (page A1). 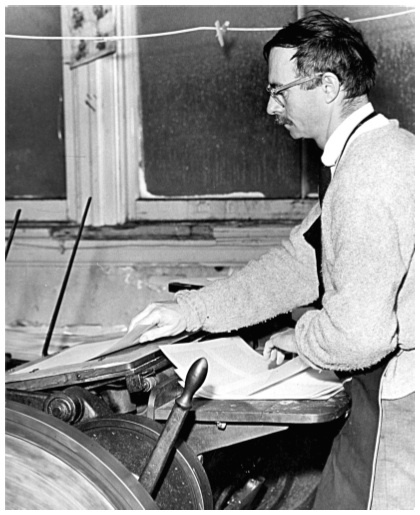 James Reaney printing at the Alphabet Press print shop at 430 Talbot Street in London, Ontario (mid-1960s). Credit: London Free Press/Sun Media Corporation. 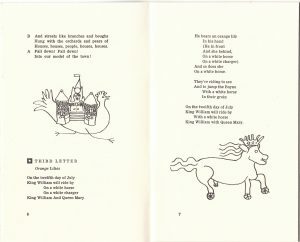 James Reaney, Canadian poet and playwright, was born on a farm near Stratford, Ontario, on September 1, 1926. He grew up to become one of Canada’s best-known poets and dramatists, enjoying literary success over a period of seven decades. 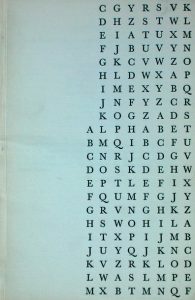 He was also a professor of English at the University of Manitoba (1949 – 1956) and the University of Western Ontario (1960 – 1989).